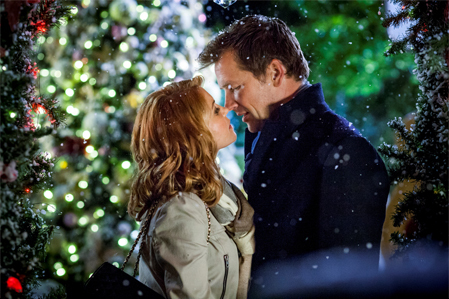 3 DAYS 'til CHRISTMAS in JULY begins on HALLMARK! Christmas certainly can't be kept "under wraps" any longer! 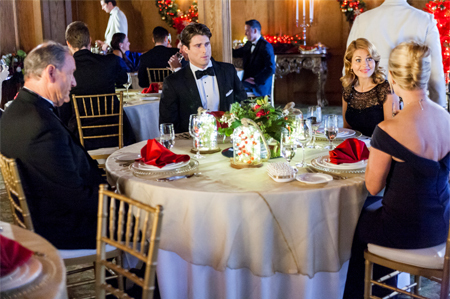 when "Christmas Keepsake" week begins on the Hallmark Channel! 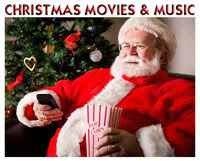 See the Christmas TV Schedule here! *PLEASE NOTE: This Drama Series contains Adult Content. 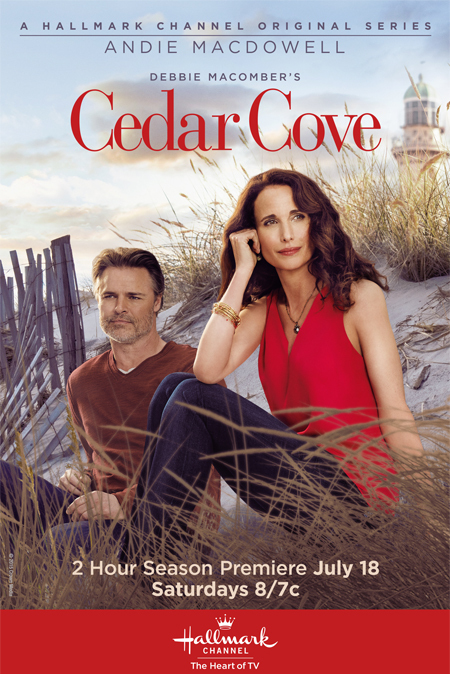 via Hallmark: DEBBIE MACOMBER'S CEDAR COVE SEASON 3 - Based on the bestselling book series by #1 New York Times bestselling author Debbie Macomber, Season 3 returns viewers to a majestic and idyllic small seaside town of Cedar Cove, home to romance, relationships and drama. 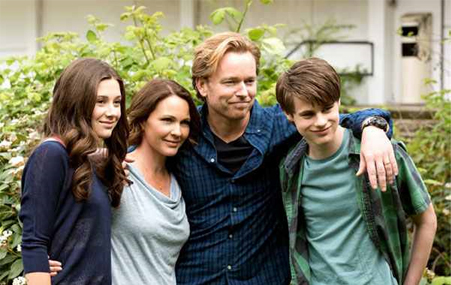 At the center of it all is Olivia Lockhart (Andie MacDowell), the revered Cedar Cove Municipal Court judge, lifetime resident, loving mother and loyal friend to many. As Olivia's romance with newspaper editor Jack (Dylan Neal) hangs in the balance following a shocking discovery, Olivia, along with her family and friends, will find her small town is bursting with more drama -and heart- than ever before. 'Signed, Sealed, Delivered' - the Original Movie Coming to DVD!!! The original, first 'Signed, Sealed, Delivered' movie starring Eric Mabius, Kristin Booth, Crystal Lowe, and Geoff Gustafson will be officially released on DVD: September 29, 2015! PRE-ORDER NOW and Have 'Signed, Sealed, Delivered' Shipped Direct to YOU! 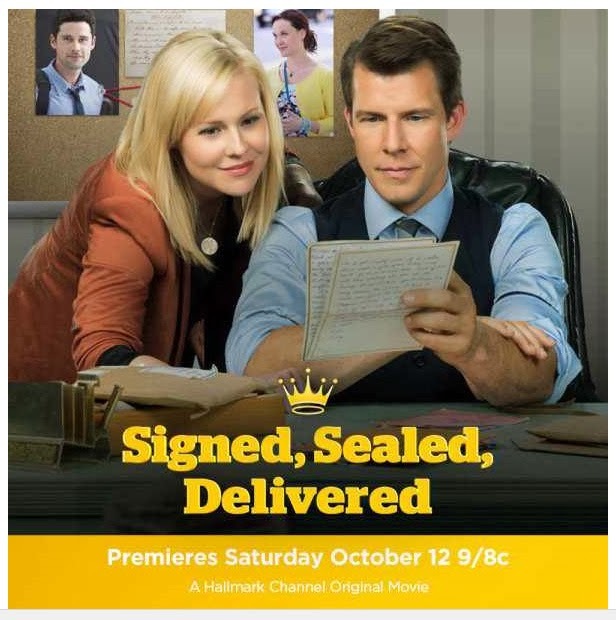 &amp;amp;amp;amp;amp;amp;lt;br /&amp;amp;amp;amp;amp;amp;gt; As I write this "post", the official DVD cover for "Signed, Sealed, Delivered" has not been revealed. While we wait, let us guess... Here are a few options, that may/could be chosen: Which picture is your favorite?Or, would you like to see something new, or different?Please share in Comments below... My Review of Signed, Sealed, Delivered: (the Original Back-Door Pilot Movie!) 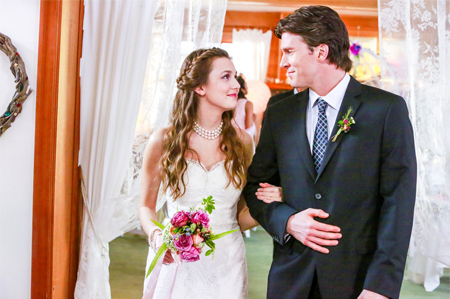 "The Hallmark Channel delivers again! 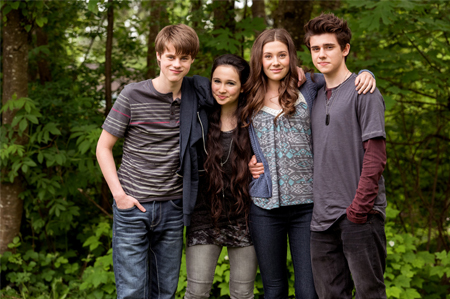 Signed, Sealed, Delivered will send your Heart on a First Class Journey of Adventure! I have seen this movie and I can guarantee this Hallmark Package will be well received by viewers! It's fabulous! I would compare it to"... click here to read more! 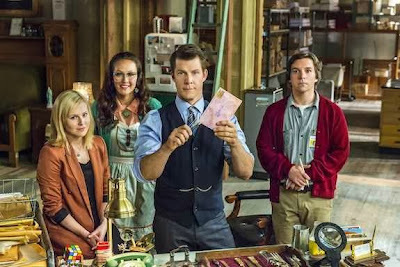 *For more details on the original 'Signed, Sealed, Delivered' Pilot Movie, Click Here! 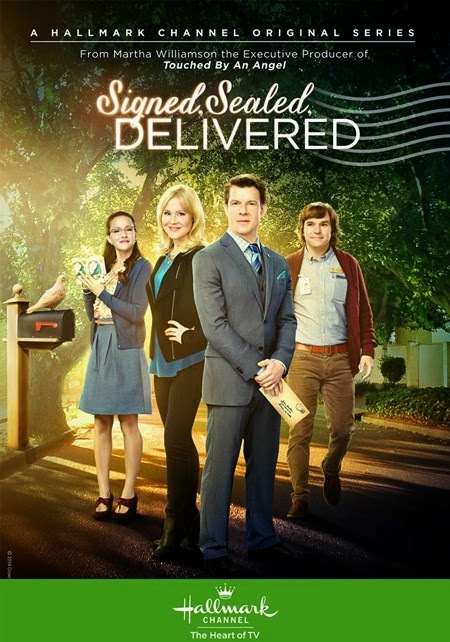 *For more information on the Signed, Sealed, Delivered DVD, Click Here! Hope you will join me in ordering this DVD -and have "SSD" sent your way! Yours Truly, Net"It's a Wonderful Movie"
"Get ready for a new tradition for both sports lovers and cat enthusiasts that will have the cutest cats going up to bat to perform in the biggest Paw Star baseball game of the year! 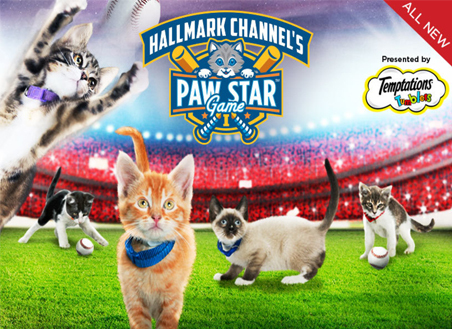 Hallmark Channel opens its stadium doors Summer 2015 for the baseball paw-stars to take the field. ready to hit a line drive and score a homerun." All of these precious kittens are so adorable!!! I sure hope they all find good, caring homes to grow up in! I have always loved cats & dogs... just like people, each one has their own distinct personality and likes... and I can't help myself... I adore them both! The joy and love they give in return is immeasurable! Thank You for visiting... have a Wonderful Day!!! It's Summer, Sun, Surf, and Sand... in New Disney Movie! Friday June 26, 2015 at 8pm/7c. It's a mix of the old, sweet Franky & Annette "Beach Blanket Bingo" type movies meets Marty Mcfly in "Back to the Future"! Surf's Up! Technically, the movie begins just as Summer is ending... but there's a lot of singing and dancing to still be done at the beach, where everyone, of course... hangs out and meets. Storyline: Dive in and rock out with the hottest surf sequel under the sun! Now that summer's over and school has begun, Brady (Ross Lynch) and Mack's (Maia Mitchell) relationship seems headed for a wipeout -- until Lela, Tanner and ... click here to read more! The UP Original Christmas Movie Musical 'My One Christmas Wish' will bring Christmas Spirit and Music our way, with star Amber Riley, Matreya Fedor, Ali Skovbye, Jarod Joseph, Priscilla Faia, and Ken Tremblett. Pictured Above: Amber Riley, Ali Skovbye, Matreya Fedor, and Jarod Joseph. Hallmark fans may recognize Ali Skovbye, from the Hallmark Hall of Fame Christmas Movie 'One Christmas Eve' and the Mystery Series 'Gourmet Detective', and Matreya Fedor from the TV Series Cedar Cove. Via The Hollywood Reporter: "The TV movie musical is inspired by the true story of Jackie Turner, a straight-A college student who turns to Craigslist to post a want ad to find a family with whom she can celebrate Christmas. Jackie Turner is a straight-A college student, who was abused, abandoned and starved as a child. Although she has resolutely turned her life around, the holidays are still very painful for her. Facing another lonely holiday break on campus, Jackie takes an ad on Craigslist for My ONE CHRISTMAS Wish - a family for Christmas - and even offers to pay $8 an hour. To her surprise, responses flood in. Among the numerous heartfelt invitations and letters of support, she also hears from other young people struggling with the same overwhelming emptiness that comes with spending the holidays without loved ones. Moved and inspired, Jackie decides to throw a big Christmas party - with the last-minute help of her adviser, friends and support group - to find families for all those troubled folks who emailed her, and finds one for herself as well." You can look forward to seeing this movie in November on UP! 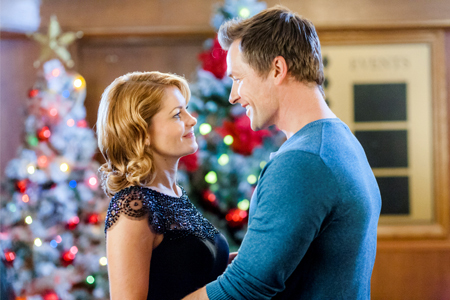 Following the success of Moonlight & Mistletoe, Let It Snow, and Christmas Under Wraps, this is Candace Cameron Bure's 4th Hallmark Channel Christmas Movie! 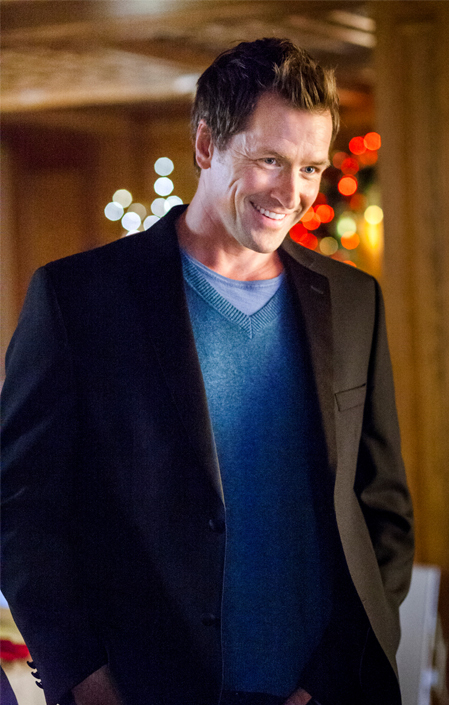 If you enjoyed seeing actor Paul Greene star opposite of Danica McKellar in Perfect Match, then you'll like him this Christmas starring with Candace Cameron Bure in "A Christmas Detour"! This heartwarming holiday comedy tells the story of a young relationship advice columnist who learns a surprising lesson about love when her holiday flight to New York takes an unexpected detour. With Christmas only a few days away, Paige Summerland (Bure), a Los Angeles magazine writer specializing in relationship advice, boards an eastbound flight to spend the holiday with her fiancé, Jack (Rosner), meet his parents for the first time and plan her upcoming “dream wedding.” Paige’s enthusiasm turns to panic when a massive snowstorm detours her flight and she meets - and locks horns with - Dylan (Greene), a cynical bar manager who has lost his faith in love. When it looks like all hope of arriving in New York for Christmas is lost, Dylan surprises Paige by renting an SUV and offering her a ride. Reluctantly, Paige braves the snowy road trip with Dylan, joined by Frank and Maxine Harper (Lewis and Strange), an older couple whose 20-year marriage has lost its spark. 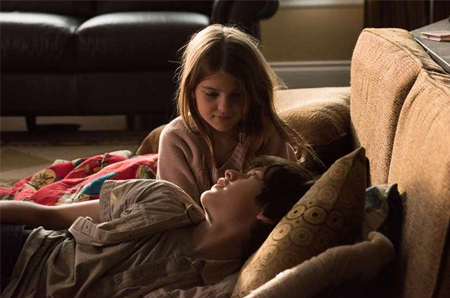 Along the journey, feelings start to develop between Paige and Dylan. Now, as the young bride-to-be scrambles to make it to New York for Christmas, she begins to wonder if she’s marrying the right man and just might learn a surprising lesson about love. 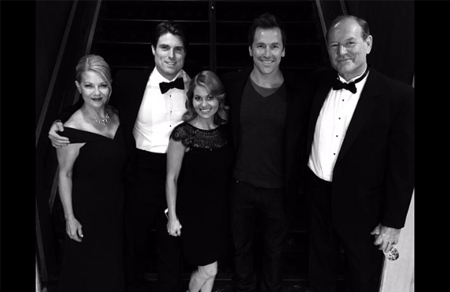 Hallmark Channel’s “A Christmas Detour” starring Candace Cameron Bure and Paul Greene will take you on an unexpected ride of adventure, friendship, and love! Meticulous magazine writer Paige Summerland (Candace Cameron Bure) thinks she has her life completely mapped out, as she boards her plane with her vision board in hand, with her intended destination to be with her fiancée and his parents for Christmas. 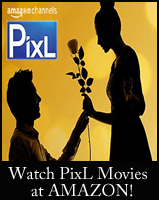 But when bad weather cancels her flight mid-air, Paige's life takes an unexpected detour upon meeting another passenger, Dylan MacKenzie (Paul Greene), a free-sprit who is mysteriously reluctant on going home for Christmas, and a friendly couple, Frank and Maxine, who have been married for years and are visiting their daughter for Christmas. 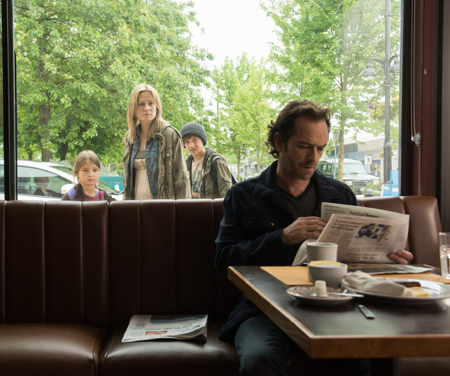 When Paige finds out there are no means of travel, she shares her disappointment with fellow travelers, Frank and Maxine. Even with every form of public transportation closed, Paige becomes even more determined, yet helpless to find a way. In the meantime, Dylan just may have a plan to get them all to their destination on time. Frank and Maxine are game, but it might take a bit more convincing to get the always in control Paige to go along for the ride. Candace Cameron Bure ("Let it Snow", "Just the Way You Are") is ideally cast as the straight laced romantic optimist Paige Summerland who is certain that finding love is as simple as checking off a grocery list. 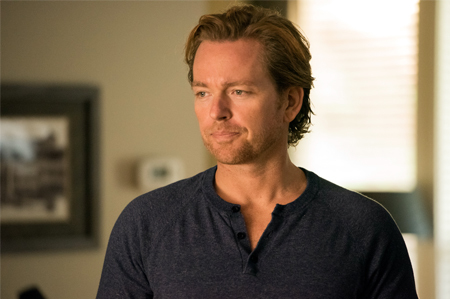 Paul Greene ("Perfect Match") is terrific as Dylan MacKenzie, who is not as optimistic about love, but has a lighthearted easy-going spirit. 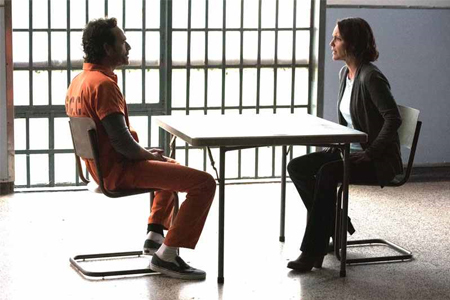 David Lewis ("For Better or for Worse") and Sarah Strange ("Garage Sale Mystery") are perfect as Frank and Maxine Harper, the comical couple who re-kindle their love and have a great on-screen connection. Loved them! 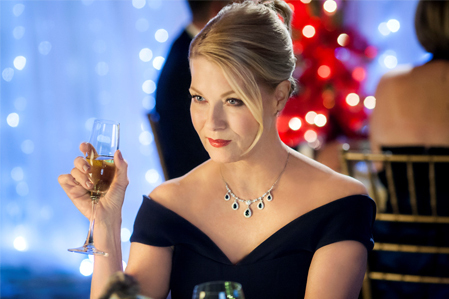 Barbara Niven ("Cedar Cove", "Murder She Baked") was fantastic as the rich, snooty Susan Collins, the Mother-in-Law to be, who is obviously not taken by the idea of her beloved son, Jack (Marcus Rosner, "When Calls the Heart"), marrying Paige Summerland. All in all, "A Christmas Detour" was a fun film about unanticipated events and chance happenings, that all come together in the end... where each character finds the place they were meant to be! So, buckle up and come along - I truly think you will enjoy the journey! As I said above... "A Christmas Detour" will take you on an unexpected ride of adventure, friendship, and love! Here's Comes the Bride! 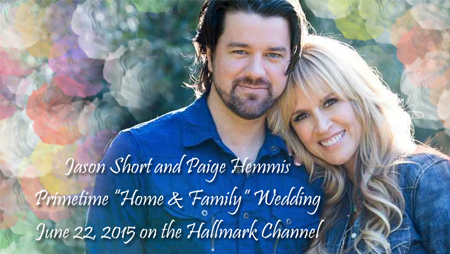 Paige Hemmis & Jason Short will wed on the Hallmark Channel Tonight! 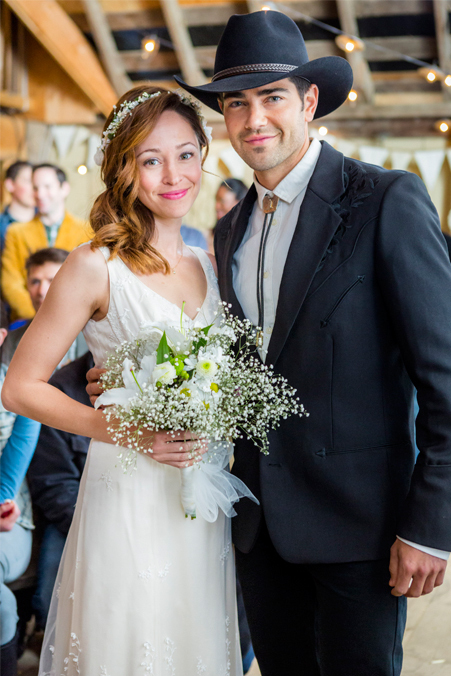 Bride Paige Hemmis from the Hallmark Channel's daily lifestyle show, 'Home & Family' says 'I Do' to Groom Jason Short of the Australian pop/opera music group ARIA, and You're Invited! Best Wishes & Congratulations to the Bride & Groom! 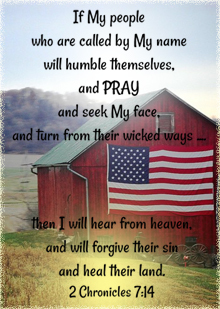 and be ever-present in your home and marriage! 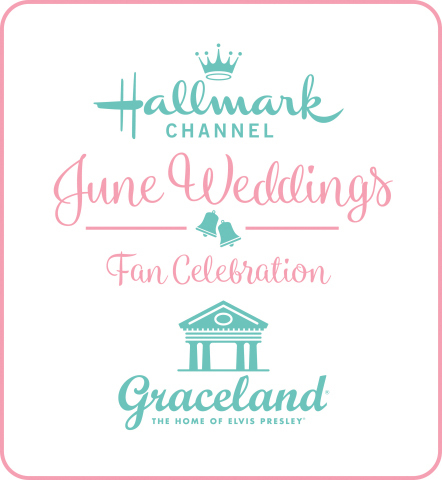 This Weekend: You're Invited to 2 NEW Wedding Movies on the Hallmark Channel + Special Movies for Father's Day! It's June, so of course, one must have several weddings to attend... and this weekend, there are two! 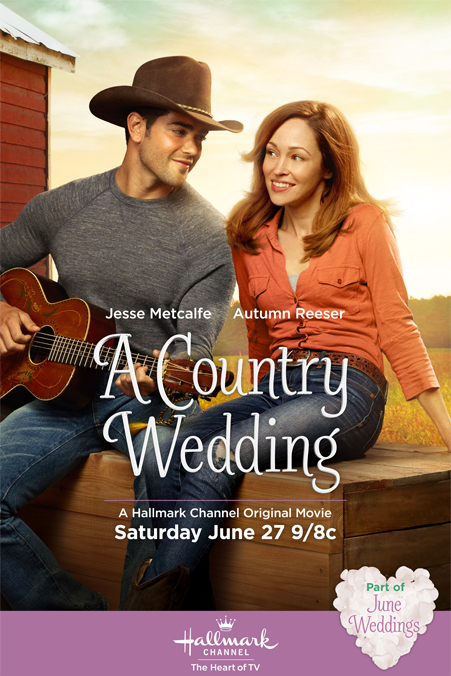 The Hallmark Channel has invited all of us to attend a wedding on Saturday and Sunday night, as well as the real-life wedding of Home and Family contributor Paige Hemmis, on Monday! Storyline via Hallmark: Danica McKellar stars as a wedding planner extraordinaire who plans everything to perfection. However, wedding bells clash when... click here to read more! Storyline via TBN: A father's broken relationship with his family fills him with determination to win back the son he left behind. Reaching out through the game they both love, he deliberately... click here to read more! 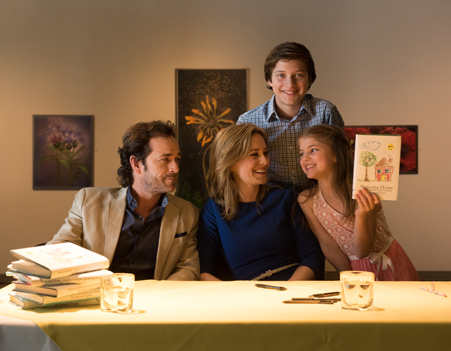 Storyline via Hallmark: A couple on the brink of a divorce must work together on planning and preparing their daughter’s marriage. While they don’t want to disrupt their daughter’s happiness... click here to read more! 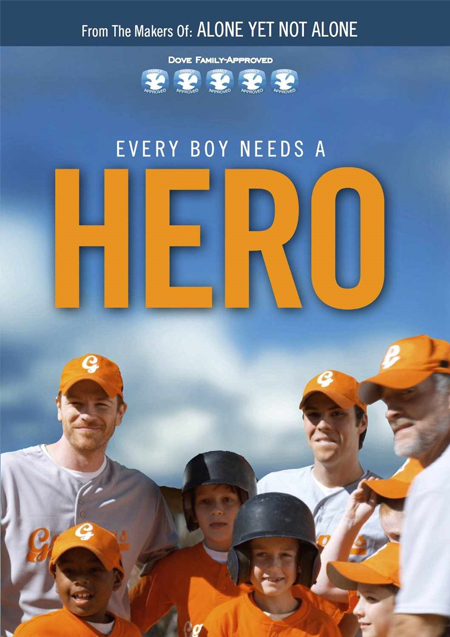 Movies in honor of Father's Day! I hope all Fathers - have a very Blessed and Happy Fathers Day! I know I absolutely Love and Adore my Daddy, and I am so looking forward to spending a leisurely day with him and all the family!!! The best gift we can give each other, is our time... God bless you all!!! 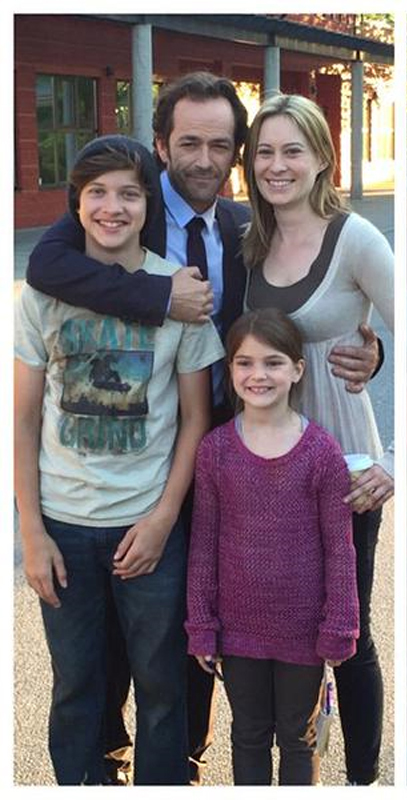 will air on the Hallmark Channel one more time - Tonight! 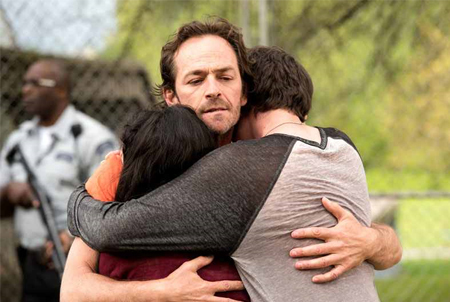 See the 2 hour Season 2 finale at an earlier time - 7PM/6c. via Hallmark: Elizabeth (Erin Krakow) and Jack (Daniel Lissing) face a life-threatening experience together and finally discover the truth about what has been keeping them apart. 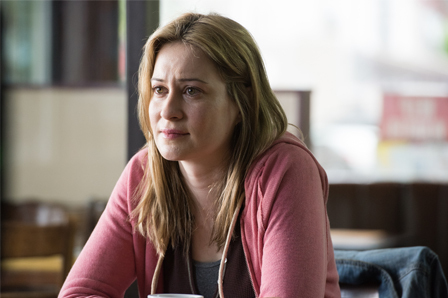 Later, all of Hope Valley witnesses a shocking arrest and an unexpected proposal. 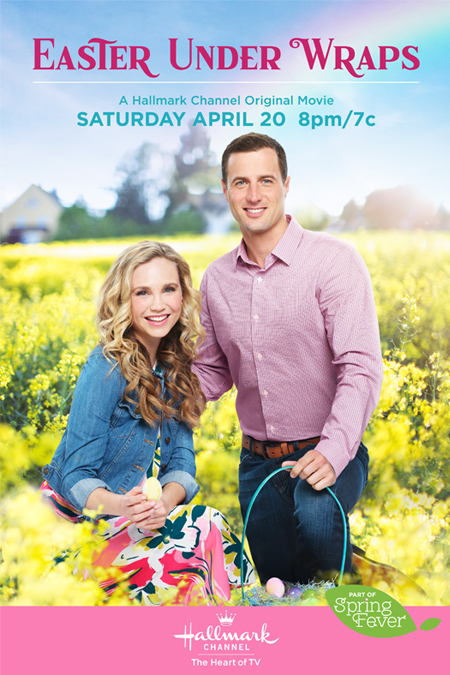 If you enjoy 'When Calls the Heart', please take a minute to let the Hallmark Channel know via Twitter and Facebook, that you want a Season 3! An All New TV Series will premiere this Fall on UP. 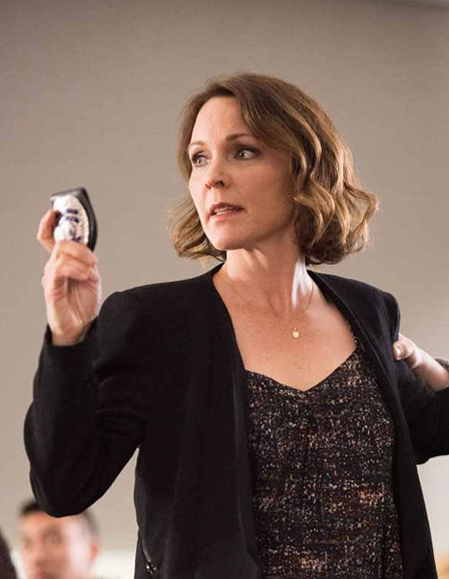 Starring in "TIES THAT BIND", are Kelli Williams, who Christmas Movie fans know and love from 'A Boyfriend for Christmas', plus her role on 'The Practice' and 'Army Wives', and Luke Perry of 'Beverly Hills 90210', and the 'Goodnight for Justice' TV Movies. See all the details below! 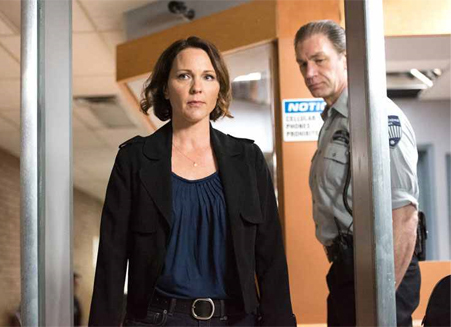 via UP: "Ties that Bind" revolves around Allison McLean (Kelli Williams), a tough and experienced police detective in suburban Seattle. Like most working women, her hands are already full, balancing a demanding and dangerous job and a family -- husband Matt (Jonathan Scarfe), and teenagers Jeff (Mitchell Kummen) and Rachel (Natasha Calis). 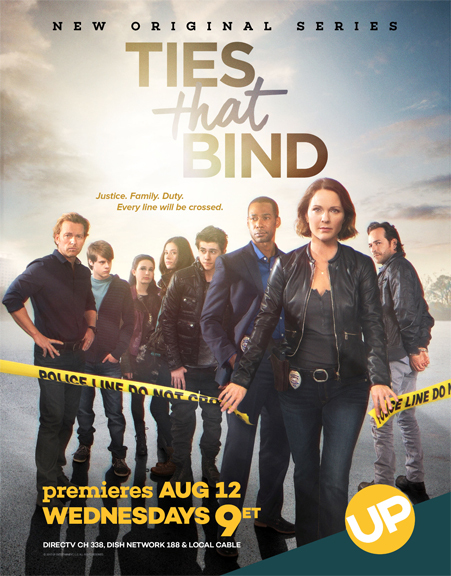 But when she and her partner, Devin (Dion Johnstone), must arrest her brother, Tim (Luke Perry), for aggravated assault, her world drastically changes as Tim is convicted and sent to prison leaving his two teenagers Cameron (Rhys Matthew Bond) and Mariah (Matreya Scarrwener) teetering on the brink of foster care. Having done the right thing as an officer of the law, Allison now feels compelled to do the right thing as a sister and aunt; she brings Tim's two very unhappy teens into her home. Squeezing four teenagers under one roof proves to be an additional test of Allison's strength and patience. It won’t be easy for her husband, her children or Tim’s kids either. In addition to investigating local crimes, the series will also focus on the joys and struggles of the teens as they adjust to their new home, their new high school, make new friends and experience love, romance, anger and jealousy. 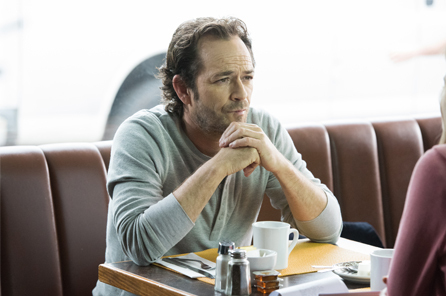 via UP: After a hugely successful debut novel, Stewart Paylor (Luke Perry) is supposed to be delivering chapters of his new book. Unbeknownst to everyone around him, including Cynthia (Erica Cerra) his literary agent/girlfriend, Stewart has writer’s block and has not written a word. 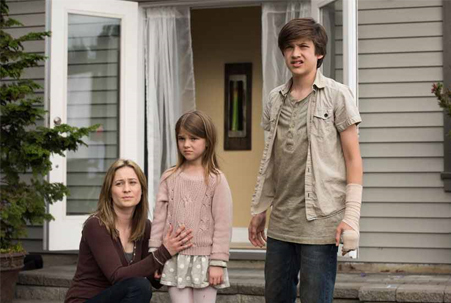 His life goes even further astray when he returns home from a vacation to find a homeless mother, Cassandra (Camille Sullivan), and her two children, 12-year old Jake (Will Verchere-Gopaulsingh) and 9-year old Vera (Kayden Magnuson) have been squatting in his house, with nowhere to go.